J Royal combines analytical capabilities and veteran engineers to enable us to offer a full complement of expert services for every type of application. Starting with assistance in design, we can evaluate your specific project to recommend material selection or troubleshooting advice for your demanding application. It requires experience and expert knowledge of numerous polymers, chemical resistance, physical properties and more to make the right material recommendations. J Royal gives you options to choose from and consultation for informed decisions. Our recommendations always include the best material for your specific application. 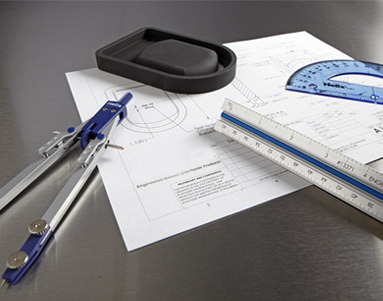 We also offer engineering benchmarking services. Your project will be aided by the “SolidWorks” CAD (computer aided design) state-of-the-art software, enabling us to create solid models. The models are used for testing validation, cost analysis data, and design replication of competitive products. In short, we’ll engineer your program to perfection.